There's something about Bareminerals that has me totally smitten with their products lately. One thing my favorites all have in common is that they are all neutrals. From lip products to eye quads, they have all my must-have shades in easy to wear, silky formulas. My newest quad is The Truth. This collection of four shadows is something I would reach for every single day, no matter the weather. It just so happens that fall is coming, and these colors are perfect for the season. I have a very practical side when it comes to eyeshadow quads. I want a good variety of shades that work well alone, as well as all together. This quad provides just that. I can get simple daytime looks with one or two shades or a rich nighttime look incorporating the entire quad. 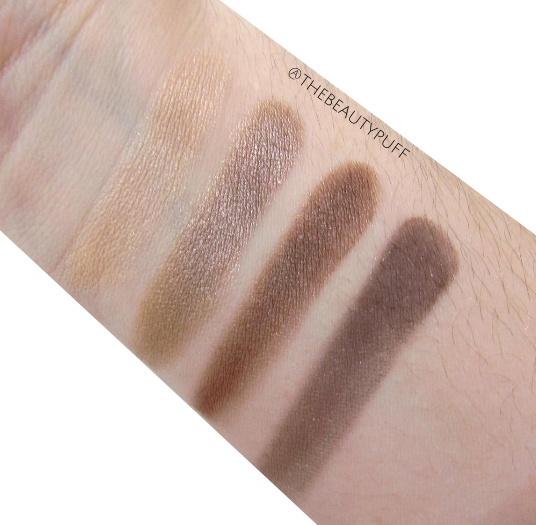 It's rare that I love every shade in a quad equally, but I have to say, these were put together perfectly for the neutral makeup lover! In this quad, you have everything from a brightening highlight shade to a deep, defining shade that can be used as a liner. There are no matte shades in this quad, so that could be a negative for some people. I find the shades work beautifully together so I don't find myself reaching for any other finishes to compete my look. Serendipitous, the lightest shade, has a bit of warmth to it which I find really flattering on the brow bone and inner corner. Magnetism is my favorite shade in the quad which I most often use as a one shadow look. Fate is a warm brown that can be diffused to look really natural in the crease for slight definition. Lastly, Apropos is a rich chocolate brown with a slight sparkle, but nothing that stands out once the shade is applied on the lid. Overall I love this quad and can't wait to use it over and over this fall. It's definitely a standout in my Bareminerals collection! 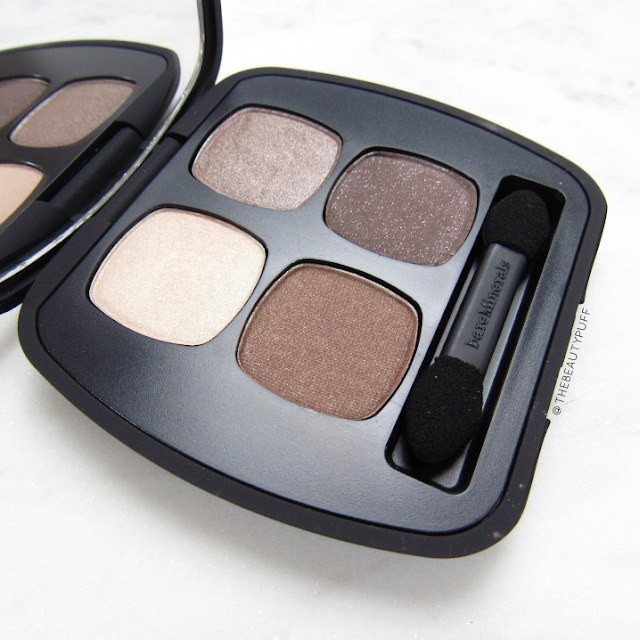 Shop this quad and even more from Bareminerals on Beautyspin.com below.